Hello there fellow Canadian Public Historians! Are you getting all ready for your trip to this year's NCPH annual meeting in what sorta looks like the geographic centre of North America? Are you slightly concerned that everytime you'll see a Powerpoint slide where "realise" is spelt with a Z, you'll have to fight the urge say that it's a typo? Maybe you're concerned that everyone will will ask you if Justin's hair really does look "that good" in real life as it does on TV? Maybe you're worried that you won't be able to properly describe why smoke meat is: a) different from; and b) just so much better, than pastrami? Well, my Canadian friend, I'm happy to inform you that there's such a spot for you in Indy because the annual Great NPCH Canuck Gathering is once again taking place (as this is now the second year in a row, we can officially say that it's an annual event...look out Vegas)! Yes, this is an opportunity for you to meet up with some fellow Canadian Public Historians, discuss our impressions of the annual meeting so far, build up your network and discuss the fact that our fantastic American hosts have only the foggiest understanding of the multiple ways poutine can be served (honestly, have you ever looked at the menu for Smoke's in Ottawa? hummmm...poutine covered in Montreal smoke meat...)! 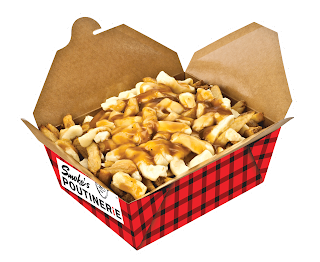 Now that you're intrigued by the idea of a fascinating conversation on the multiple ways to serve poutine, you're obviously asking: I want in but where will we ever find a safe shelter that will allow us to quench our parched throats? Happy you asked! This year, we shall gather at the bar of the Ram Restaurant and Brewpub, just a few blocks away from the Westin, after the Public Plenary Session (which is from 6 to 7.30 pm on Friday, April 21st) at 8pm. The libation selection looks great with many a micro brew! So come and join us (and please let me know if you're interested at jp5morin [at] gmail.com). Please note that all non-Canucks are, of course, welcome and invited to come and join in. Everyone needs more Canadians in their lives (but be warned that we may end up talking incessently about how long and crappy the winter has been and how warm it is in Indy in April...and of coures the hockey playoffs - Go Habs go! ).